Traditionally, we move the chickens into the garage just before Christmas. This allows us the chance to get away for the holidays and have a chicken sitter. 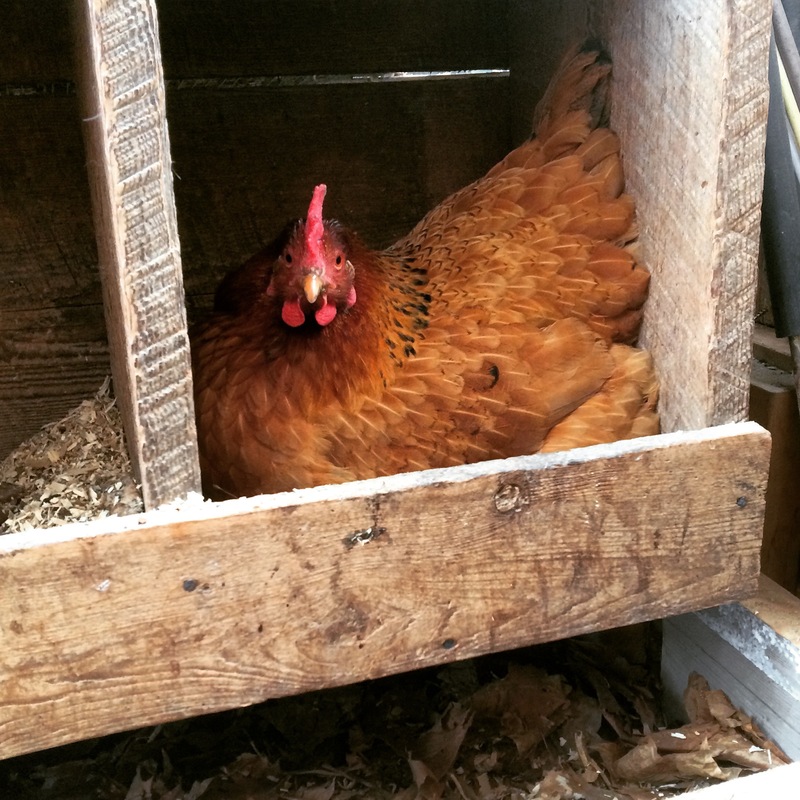 We know the birds are secure, and the sitter can easily tend to their needs and collect eggs. Win-win. Mostly. The garage is quite dark so egg production drops pretty rapidly. 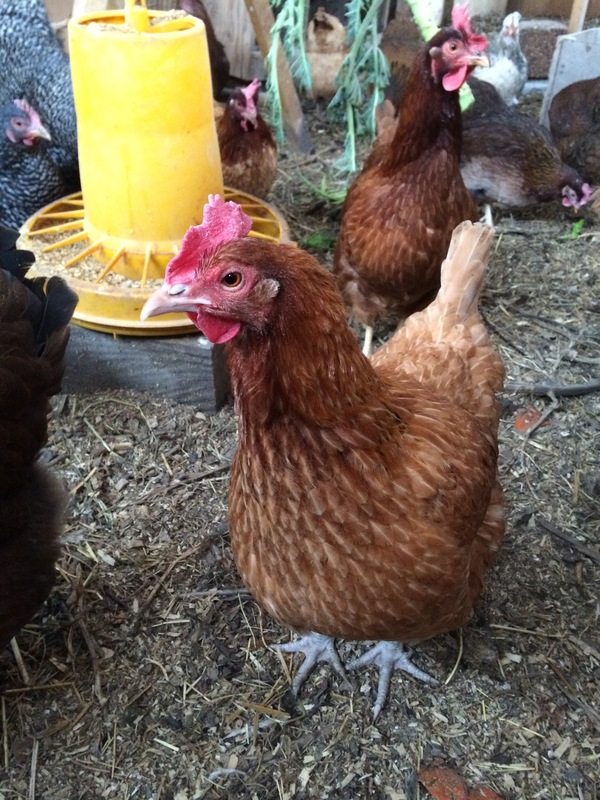 We are ok with the hens taking a seasonal break – I know I sure need one at this time of year. But it would be nice to get a little something for all the water hauling and litter flipping required during the winter. This chicken seems to be saying, “It’s getting a bit crowded in here. Time to move us to the big house.” I think she means hoop house. We knew we wanted to grow our flock and the garage pen would not house them as well. After much research, we came up with the idea of a hoop house. Because we were naive about how long it would take to construct, we didn’t exactly get it in place that fall for the birds. Happily, I was able to use the hoop house during the summer to grow heirloom tomatoes, cucumbers and peppers. You can read about that here. It was put to good use. Then, there were many details to work out this fall before we moved our chookies into their new digs. The edges of the hoop house needed further critter-proofing, a roost needed constructing, and more wood chips and leaf mulch need to be added. We also wanted to fence off an area where the chickens wouldn’t “do their thing” for some early crop growing in March and April. So back into the garage they went at Christmas time while we made everything perfect. It was the end of January. Everything was ready. My daughter and I started catching and carrying the chickens after school one evening. When Peter arrived home, we had moved over half of them but were a little nervous about catching the roosters. They are big; pretty friendly, for roosters but big. He had no trouble with them and we had everyone moved before dark. Some of the girls getting a drink. 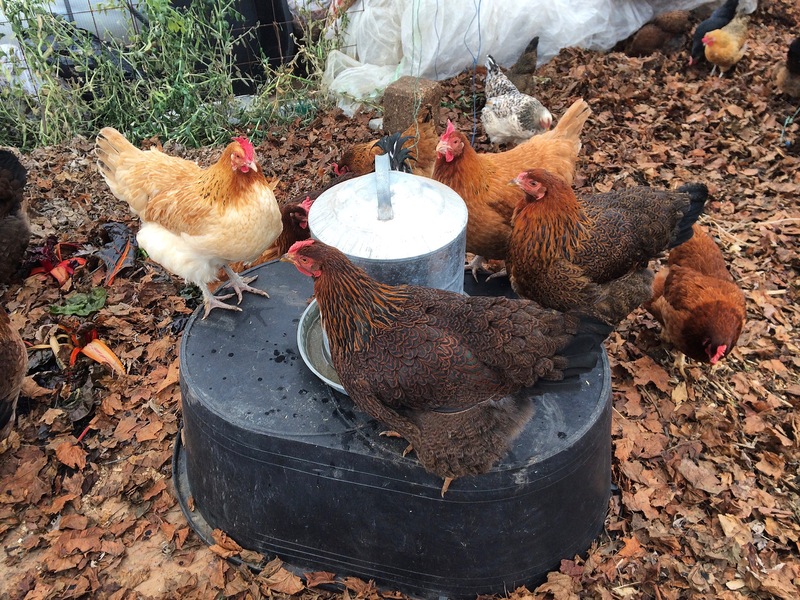 Raising the waterer off the ground keeps it cleaner longer. We gathered leaf bags from the good folks in Wiarton for the chicken’s deep litter. The next day I went out to the hoop house to check on everyone. There was a lot of scritch-scratching in the leaves as the chickens got used to their new home. It was quite nice to hear. No squabbles or hen-pecking. They were effectively destroying all of the plants still alive in the structure. 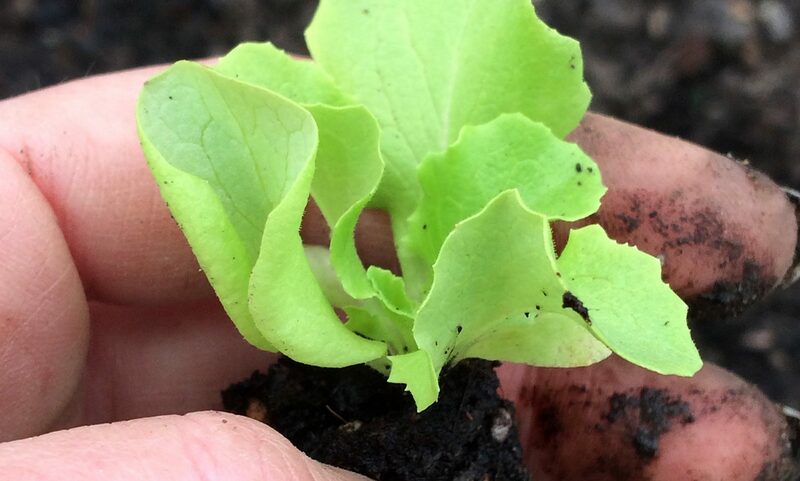 They feasted on swiss chard, several types of kale and broccoli plants that I had put into the ground too late to mature. Also they cleaned up lots of grass and weeds that were hiding under the plantings. 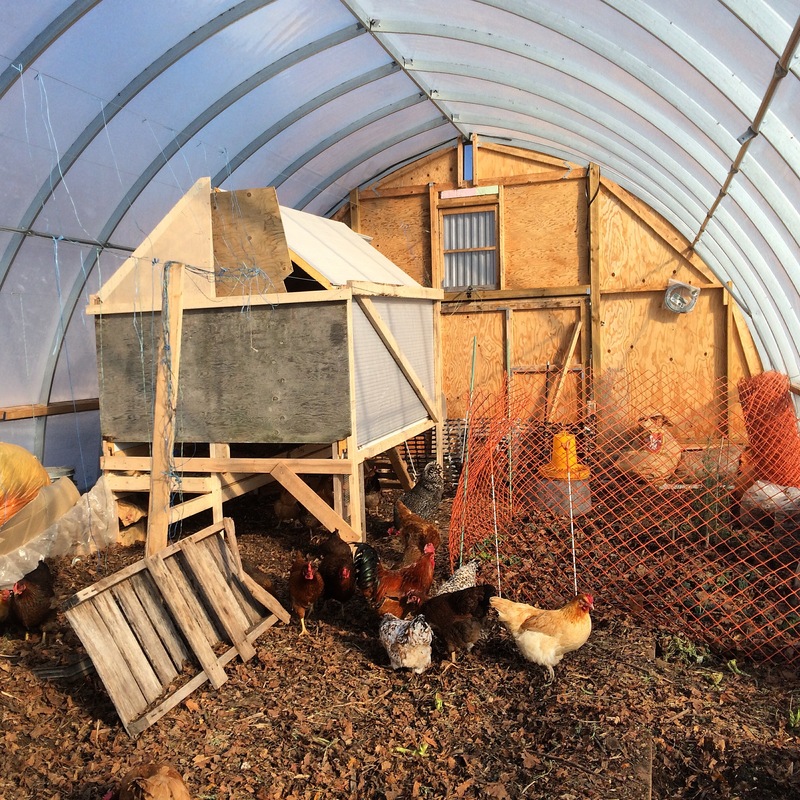 Maybe it’s not Pinterest pretty, but this new set-up in the hoop house gives the chickens access to sunlight and soil. The orange snow fence keeps the birds out of an area where we’d like to grow some early greens. 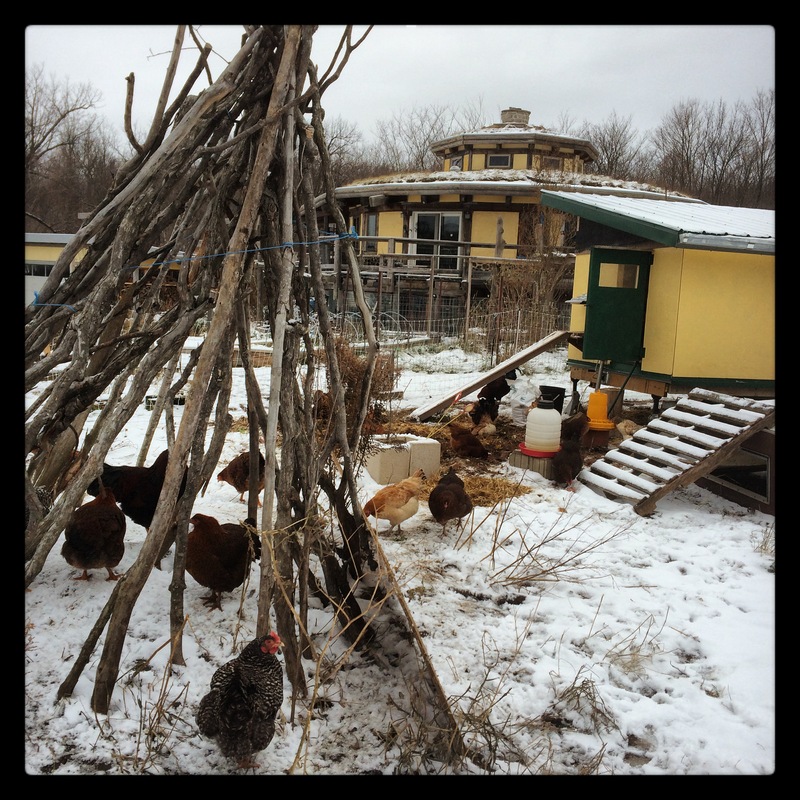 The “shack” is a covered roost where the chickens can share some body heat at night. During the day there is so much more light and warmth. Night temperatures can be cold as there isn’t a lot of mass to hold the daytime heat. The covered roost seems to be working and they all figured it out the first night. Now how about some eggs, ladies. This chicken is responding to the increased light levels in the hoop house. Yeah! Thanks Linda. They are pretty endearing.